As downhill courses get gnarlier, our products evolve with the topography. 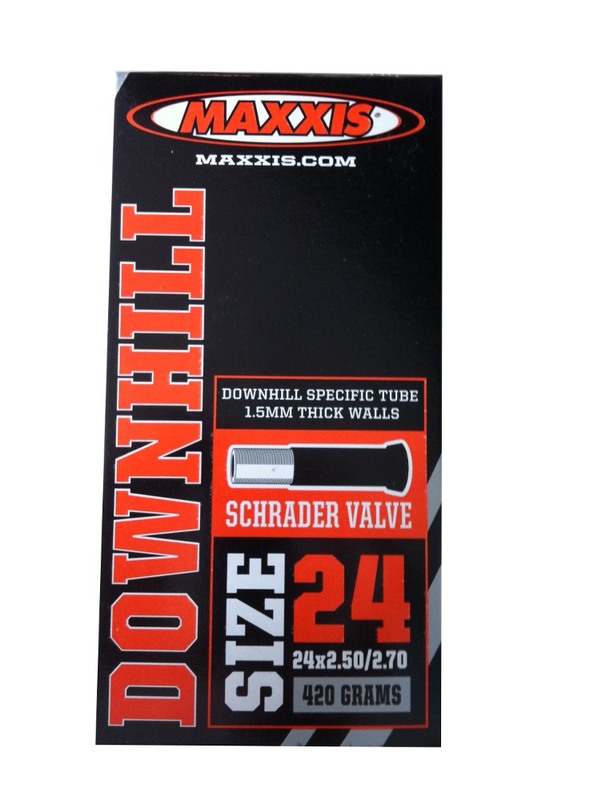 Maxxis downhill tubes are 1.5mm thick to eliminate pinch flats, add stability, and allow the use of low air pressure. 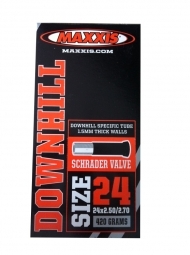 The large 24x2.5/2.7 size fits our entire range of downhill tyres.